As I was walking through Whole Foods I came across a package of coleslaw (just chopped cabbage and carrots) I was immediately inspired! Posted on April 25, 2014 by Lauren Hefez and filed under entree, savory and tagged homemade mayonase dinner coleslaw fish and chips cape cod. 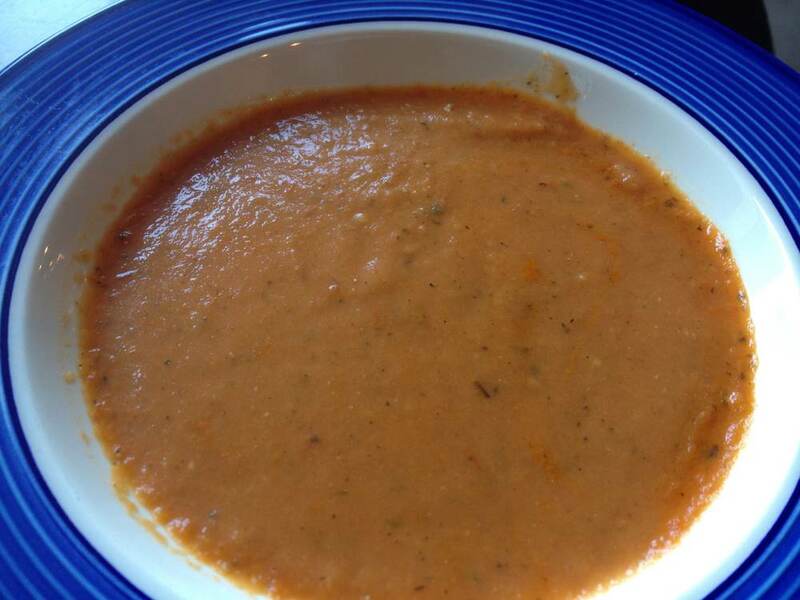 Dairy free tomato soup! YUMMY! Yesterday I made a tomato soup. I read different recipes and came up with my own. The final product was delicious. A definite thumbs up! Dice tomatoes into quarters and put them in a baking dish. Cover the tomatoes with EVOO and add plenty of salt, pepper, oregano, and basil. I would say add enough salt not TOO much, but do not be afraid to add the pepper, oregano, and basil. In the dish place 5-7 garlic cloves. They will get nice and soft as they cook in the oven and will add great flavor to your soup. 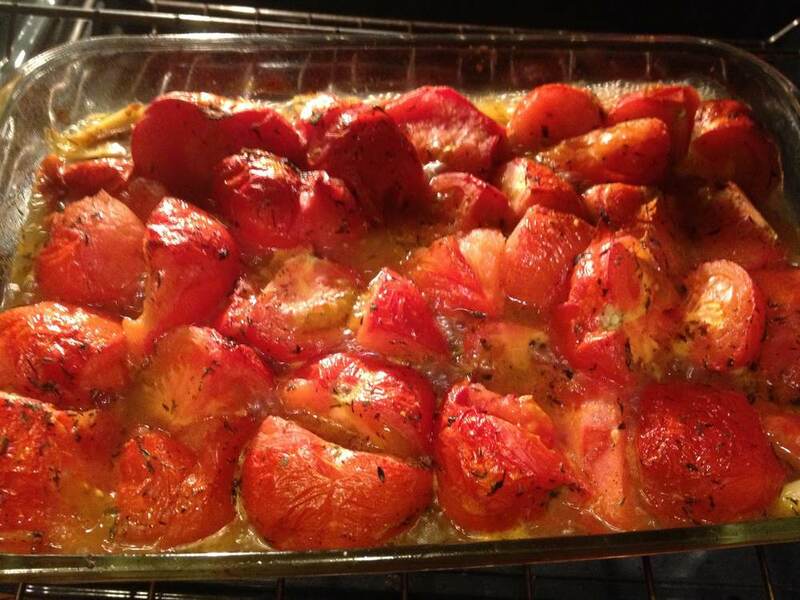 Place the tomatoes and garlic in the oven for 35 minutes. As they cook you will notice juices emerging from the tomatoes and a wonderful smell will fill in the air! Mix the tomatoes twice. Once after 15 minutes and again after 25 minutes. After the tomatoes are cooked, carefully take the dish out of the oven as the tomatoes will now be sitting in a lot of tomatoes juices. Heat a large pot (one that you would make a soup in) and add EVOO or vegetable oil, crushed garlic, cumin, coriander, and a little cayenne pepper if you want a kick. I would add about 1/2 tsp-1tsp of each, less for the cayenne. Feel free to add more of the seasonings and make sure there is enough oil so that the seasonings do not get stuck to the bottom of the pot. Do not let the garlic burn. Put the fire on medium to low heat. You want it to sizzle for about 3-5 minutes. Keep mixing. Add the tomatoes and all of their juices to the pot of seasonings and mix for a minute. Add 1 cup of chicken or vegetable stock. Mix everything and simmer on low for about 3 minutes. Take the tomato mixture off the heat and let it sit and cool down. After about 10 minutes blend everything. You can puree if you have an immersion blender. Or you can pour it in your blender like I did! Works great. I made the soup with a grill cheese sandwich on the side. YUM. For my camera man I added a tsp of crumbled goat cheese, in his bowl, to give it a little more creaminess. Camera man said he LIKED the tomato soup!!!! This could be one of the very few dishes he has given positive feed back on. WOW. 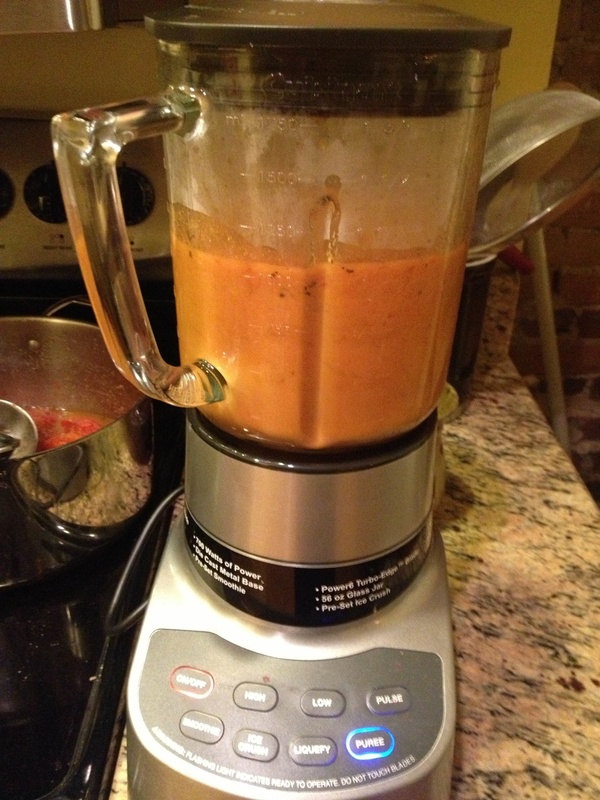 Posted on January 10, 2013 by Brandon Bettencourt and filed under food, savory, entree, apps/side dish and tagged dairy free diet eating fitfluential food heathy recipe soup tomato. Cooking a whole chicken. Excuse me if you "don't eat no meat!" " I like stuffing mine with lemon and thyme and roasting with root veggies around it." "Use plenty of fresh herbs and put lemons on the bottom of the pan. Also, I cook mine at a higher temperature to get it crispy. 400 degrees for an hour." Simple recipe where they do not use butter: Her advice "watch out for your smoke detector b/c of the high temp... Also get twine and truss it! (this video is helpful)"
"Boil it and make chicken noodle soup. Its easy, just labor intensive. " " I like to have a thin layer of water on the bottom of the pan too - keeps it moist and baste, baste, baste!" "Stuff it with lemon. Put sea salt, fresh ground pepper and a little bit of olive oil on top." "I was scared the first time I cooked a whole chicken too but it's super easy. I use Ina Garten's recipe. Also I don't eat the skin (and I'm guessing you don't either) so I cook it breast side down and it stays super moist!" Roast Chicken Magic, their secret is Citrus! I have decided to cook my chicken tomorrow because I will not get home until 7:30 tonight and my chicken will not be ready until 8:30pm, which is kinda late for me. Because I have the chicken today, but am not going to cook until tomorrow, I am thinking about brining the chicken in order to make it super moist. Have you ever tried this? Does it work? I am looking forward to my adventure today when I brine, and tomorrow when I cook. I have no problem (usually) eating a nice cleaned chicken breast, but when it comes to touching the raw chicken it kinda grosses me out... anyone else?! EW I am flinching just thinking about it. I have to over come my fear of raw chicken and cook it. I am going to cook it like a CHAMP! One of my favorite movie scenes from My Big Fat Greek Wedding! Skip to 4:15 for the "eat no meat" reference. Posted on January 2, 2013 by Brandon Bettencourt and filed under food, entree, savory and tagged chicken entree dinner meat cook cooking recipe savory. Cabbage, kale, white bean, carrot, celery and brown basmati rice soup! I love making soups. Soups are usually easy to make and are a nice low calorie option to keep you warm during the cold winter months! This soup does not look great, but it tastes great. I put this soup together myself, so no recipe followed. You can tweak the measurements if you feel necessary. This recipe makes a lot of soup. So cut in half if you wish to make a smaller batch! As I was writing this blog I realized that I need to do a better job at recording my measurements for people who like to cook with measured amounts of seasonings and such, which hmm is probably most people. Sorry I'll do a better job next time! Kale- 5 leafs? I am not really sure but that sounds about right. You can use more or less. 6 cups chicken or veggy broth (for soup) I know so MUCH. you can add half water half stalk. First I dealt with the raw beans. I brought 1 cup of white kidney beans to a boil took it off the heat and let it sit for an hour as I was prepping the soup. This allows the beans to soften a bit. Slice the cabbage in little strips, you do not need to make the strips small but try to not have them too thick. In a pot add some EVOO and mix in some garlic, let is sizzle a little then add in diced onions, cabbage, carrots and celery. Mix for about 4-5 minutes on medium heat. You will slowly see all of your veggies shrink. Mostly the cabbage. 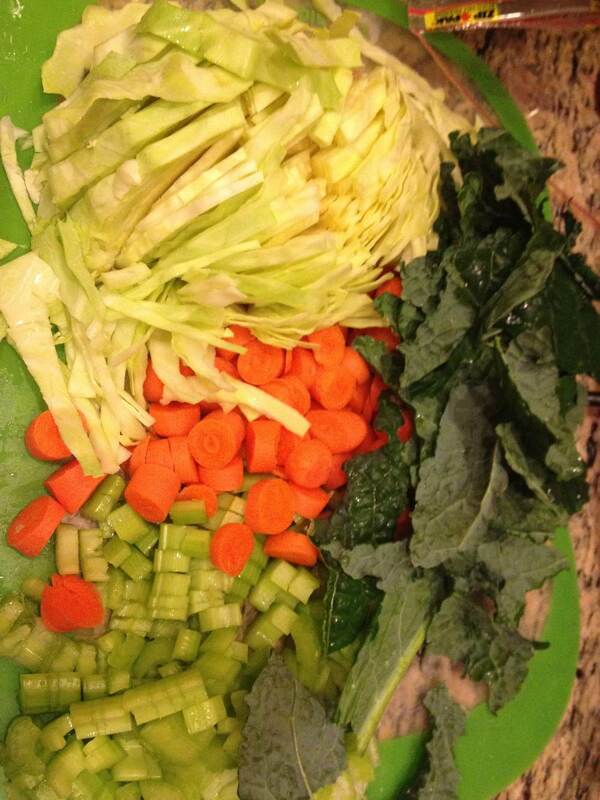 Add in your 6 cups of broth,white beans and kale. Mix and then let it sit uncovered until it comes to a boil. Lower heat to "Low" and let it cook for (SHOOT I didnt time it but this is an estimate) about 45minutes-1hour. Mix every 20 minutes. You should test and just feel it out. When veggies seem cooked, you are done! Take off heat and enjoy. **As your soup is cooking, make your brown rice. Then mix into soup at the very end. This is optional. I did it and find the soup more filling. Posted on December 6, 2012 by Brandon Bettencourt and filed under food, savory, entree, apps/side dish and tagged food recipe soup winter vegetables. 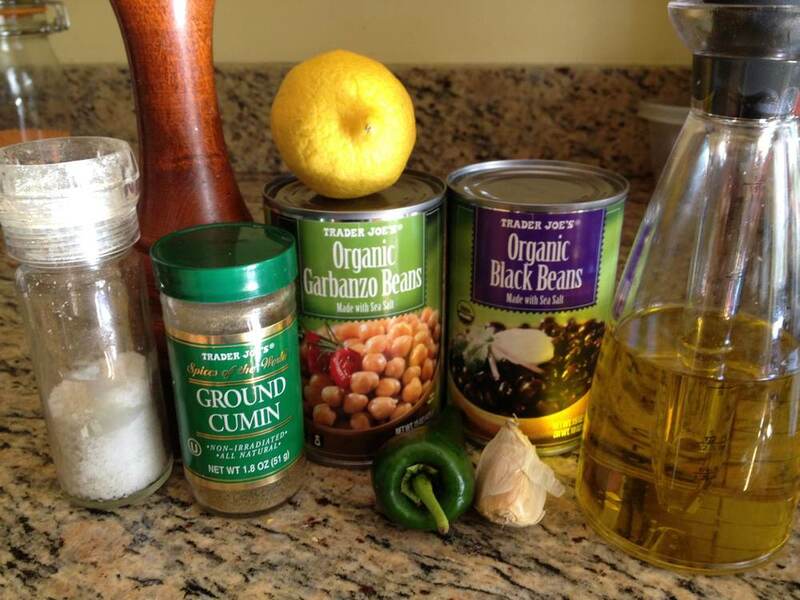 Black Bean Hummus, make your own at home! Its easy! 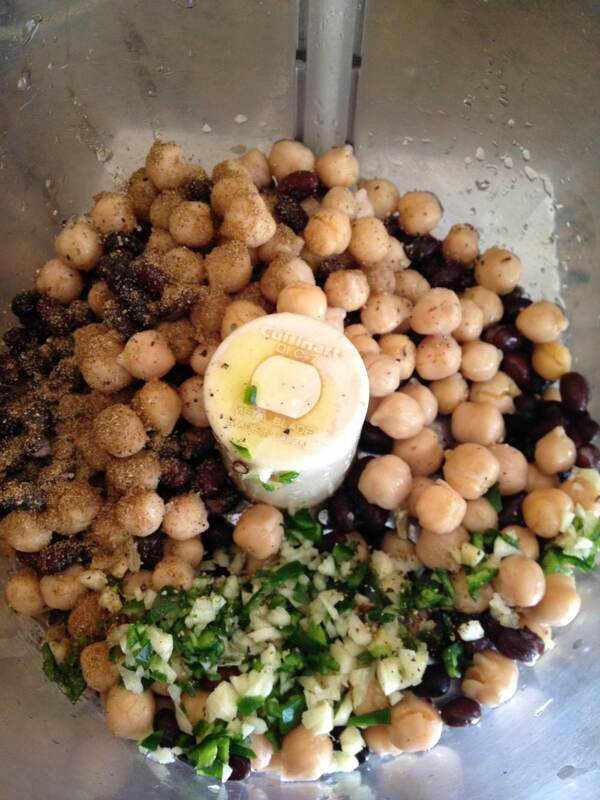 We know that hummus is made from ground chickpeas... so how hard can this be, right? I did not have tahini so this is a tahini free hummus. The only thing is that you need a food processor. Mine is about 40 years old, probably. It was my grandmas and she gave it to me, but it works like a charm! Cuisinart, baby! * Tahini is roasted sesame seed paste. It is actually really good. Add all ingredients to food processor, blend until smooth. I made sure to mince the garlic and Jalapaneo pepper before I put in blender. If the final product looks too thick add more water and blend again. Enjoy with carrot sticks, or pita chips. Let me know if you try, and how it comes out! Posted on October 25, 2012 by Brandon Bettencourt and filed under food, savory, apps/side dish and tagged homemade hummus natural organic snack. SImple. Easy. Delicious. And Sweat with Lauren Hefez approved. This recipe was inspired by Linda Wagner. switch the oven to broil put the "pizza" back in the oven for 2 minutes ....and you are DONE! Do you have any "Pizza" recipes?? Posted on October 17, 2012 by Brandon Bettencourt and filed under food, lunch, entree, savory and tagged pizza tomatoes healthy food recipe basil cheese bread lunch snack bake.